How would you like to replace your favorite $15-20 high end eyeliner with one that works at least as well, for less than half the price? Enter Pencil Me in Cosmetics. We were recently given the opportunity to give these a try and see how we liked them. Verdict? LOVE! 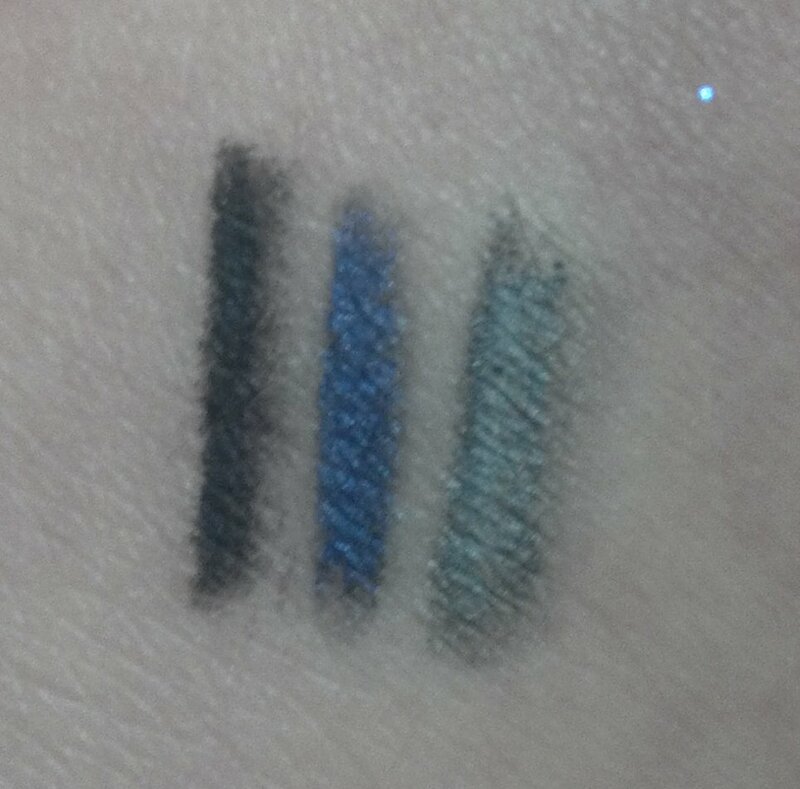 I ordered a Greystone, Indigo and Onyx and gave them a whirl. Perhaps the most unique aspect of these pencils is in the packaging. Check out this picture of some of their great shades and below the pencils you can tell there are these funny looking caps. They come with built in eyeliner sharpeners! How many times have we all been away from home and found ourselves with a dull eyeliner and no sharpener? Well, with these you will never have that problem again because they come with a built in sharpener in every cap. Awesome! A little more background on these pencil eyeliners- there are 30 shades of heavily pigmented, silky smooth and long lasting eyeliners that are infused with anti-oxidants and vitamins to protect your skin from daily exposure and deconstructive elements. The application is silky and smooth, and the pencils are creamy but still firm. It is easy to make a clean line, or smudge it out. The colors are also great for layering different eyeliner colors together. The best part to me was how easily the colors glided over my eye area without tugging and pulling on the skin in my eye area. I also really loved the built in pencil sharpener that allows you to get a sharp tip each time, as well as be hygienic- this feature makes them a perfect addition to any makeup artist's collection. To show you how truly creamy and amazing the application is on this pencil, I thought I'd put it side by side with my favorite Lancome Kohl Pencil in Black Ebony. This pencil is my favorite and such a deep dark black shade. 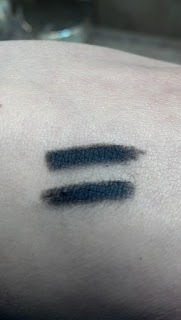 I literally couldn't tell a difference in the application since they're both so creamy and pigmented. Can you tell? I also wanted to show you how beautifully it glided onto the eye- here I am wearing it in a normal straight line on the top of my lid, and underneath my lash line I chose to smudge it. Perfectly easy to wear it both ways! Here's the fun part for our readers- we wanted to be able to offer you an exclusive deal so we have teamed up with Pencil Me In Cosmetics to offer you a Buy 2, Get 1 Free (or buy 4 get 2 free). To take advantage of this promotional offer, go to Pencil Me In Cosmetics' Website. Next, you will click the link for retail customers, and click "Shop Now." Choose the pencils you would like to order and then click on the "Promotional Offers" link on the bottom right hand side of the page. The cost for each pencil is $6.99. On this page you will see 3 links that ask you to "Click Here"- click on the top one. The user name and password for this section is the same word: Healthy. Choose your free pencils and proceed to check out. If you choose First Class mail, the shipping cost is minimal. Liberty Green, Amethyst, and 24 Karat are the 3 that I am eyeing to add to my collection! If you go for this awesome deal, let us know in the comment section which ones you purchase! While you are checking out these pencils, make sure to add the founder, Linda Rose Eisner, on Facebook and Twitter! Also, enter your email address to her website if you would like to get occasional news and make up tips. Pencil Me In Cosmetics is available through professional beauty salons, spas, upscale cosmetics boutiques and online. Their company is looking for salons and spas to sell these pencils in your store. If this is of interest to you, be sure to contact them via email! We were not paid for this review, and all of the opinions reflected are our own. I really liked this eyeliner as well. My favorite way to use it was on my lower lash line. It was easy to apply and was long lasting. I could draw a very nice line with this pencil without it being overdramatic. 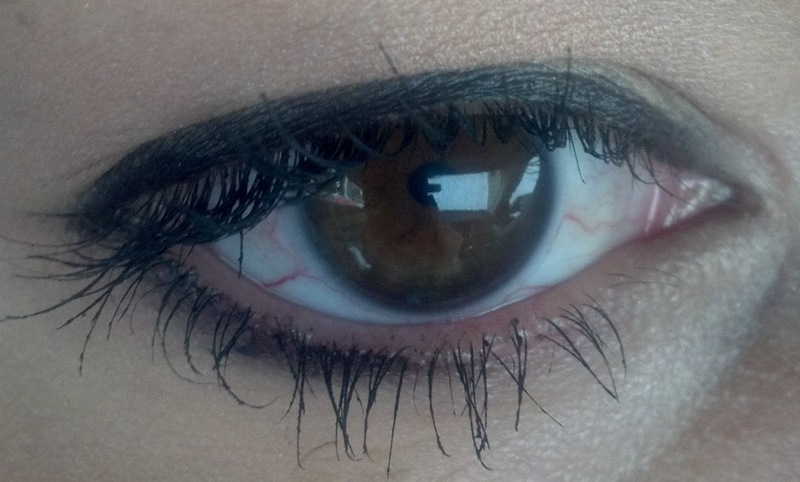 It retains a kind of natural look, as possible as that is with an eyeliner. I also really like that it comes with its own sharpener-super handy!